CU Boulder professors Katharine Suding and Tom Perkins are among 416 newly elected Fellows of the American Association for the Advancement of Science (AAAS), an honor bestowed by their peers. AAAS fellows are elected each year due to scientifically significant or socially distinguished efforts to advance science or its applications. Suding, who directs CU Boulder's Niwot Ridge Long-Term Ecological Research Program, studies grassland and alpine ecosystems with a particular focus on community ecology, examining how systems repond to climate-related mechanisms and environmental changes. She also leads research on the history of apple trees in Boulder. 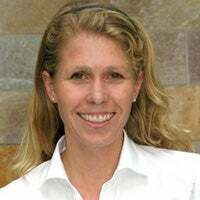 She is a fellow of the Institute of Arctic and Alpine Research (INSTAAR) and a faculty member in the Department of Ecology and Evolutionary Biology (EBIO). 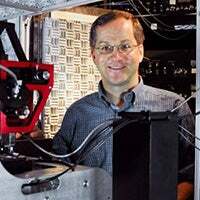 Perkins, who is the chair of JILA and a faculty member of the Department of Molecular, Cellular and Developmental Biology (MCDB), studies single molecule biophysics using optical traps (or optical "tweezers") to examine how crucial molecules such as motor proteins turn chemical energy into motion. His lab has made significant advances in the fields of ultra-stable nanoscale microscopy, working closely with the National Institute of Standards and Technology (NIST). The 2018 AAAS fellows class will be honored in a ceremony on Saturday, Feb. 16, at the 2019 AAAS Annual Meeting in Washington, D.C.